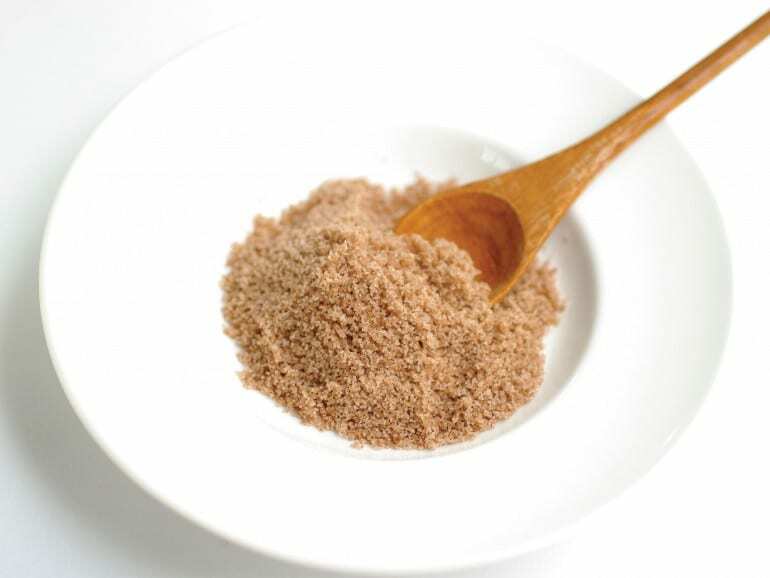 Japanese seaweed salt (moshio) is characterised by its unique beige hue and its rich, full flavour. Its bold flavours are due to the many minerals found within – calcium, potassium, magnesium, and iodine. It is also one of the earliest known salts produced by ancient Japanese, with a history dating back nearly 2,500 years. In the past, the Japanese used to spread seaweed on the beach to dry before rinsing them in saltwater pools. The remaining bittern, which was still rich with residual strips of seaweed, would then be boiled in a clay pot over a wood fire. Once the water had been evaporated, the salt worker would then separate the salt crystals from the seaweed residue, and this crystallised salt became known as moshio. According to Shinto tradition, it was the god Shiotsuchi-no-Oji who taught the mortals how to obtain salt from seawater. To give thanks, the people built a shrine at what is now called Shiogama Jinja in the town of Shiogama, Miyagi Prefecture. Every year, starting on July 4, priests conduct a three-day ritual called Moshioyaki Shinji. This is where they prepare seaweed salt for the gods using what is believed to be the traditional method. Today, the production of moshio continues, albeit with more progressive production methods. Amabito-no-moshio is arguably the most popular of the seaweed salt variant, and is made with Honfdawara seaweed and unpolluted seawater collected from the Seto Inland Sea. It has a delicate quality to it that makes it great as a cooking salt for light soups or sauces to tease out the natural aromas and flavours of the ingredients. Amabito-no-moshio is also great as a finishing salt for both Japanese and Western fare – from tempura, sushi, and sashimi to roasted potatoes, pasta, and red meat dishes.